Staged in Magdeburg, the GETEC Arena will be the home for the Seamaster 2017 ITTF World Tour German Open; qualification commences on Tuesday 7th November; the main event on Thursday 9th November. 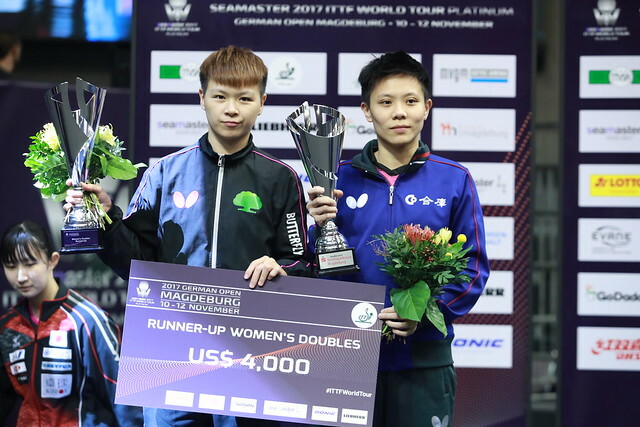 Tickets are now on sale for a tournament that may prove more popular than ever; the event being staged some five months after the conclusion of the Liebherr 2017 World Championships in Düsseldorf. Admission is free of charge for the first three days of the overall schedule, with reservations not being required for seating on Friday 10th November. Reserved seating will be available on Saturday 11th and Sunday 12th November. Prices range from €8.00 on Friday 10th November to €90.00 Euros for VIP seating on the concluding two days of play. A range of discounted tickets is available for wheelchair users, students and senior citizens; notably on the final day of play, young people under the age of 17 years may claim a free ticket at the box office; those younger than 16 years must be accompanied by an adult who is required to buy a ticket. In addition to add to the occasion travel packages are available from the Scharff-Reisen Travel Company . An extensive package and you can add to the equation the fact that free public transport within the urban area is available.